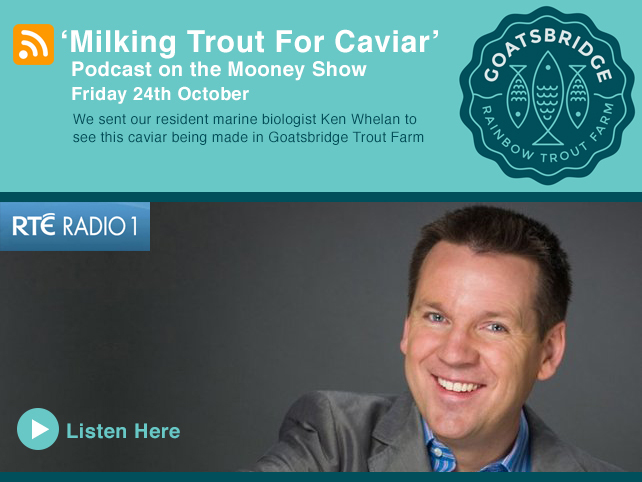 Goatsbridge Trout Farm featured on the Mooney Show on Friday 24th October. If you’re interested in learning more about fish farming in Ireland or how Ger milks the trout for caviar, click here or on the image above to listen to the podcast. If you’d like to taste some Goatsbridge Caviar, it’s available in our online shop.